Sounds like an oxymoron, but not all calories are constructed of equal material, with the help of some foods naturally will improve the body’s ability to burn fat belly. We all happened to eat yogurt instead of cookies, thinking it was the same because the same number of calories, but the difference is huge. As we have been reminded of many times, there is no magical solution for weight loss, but the food that we recommend today will surely be of great help. Even more than 90 research proved positive relationship between calcium and improve body composition. When the calcium in the body is low, the body secretes hormones that make better use of the calcium you have. The problem is that it signals the body to retain all the fat, even those on the belly. Three meals a day with milk-controlled diet will improve fat burning. Instead of rice, as a contribution to your lunch make a barley, and you are on a good way to remove fat from the abdomen. One study divided participants into two groups, one group was on a diet, which defended whole grains while others ate three meals a day of complete grains, it turned out that those who ate grains lost more fat on the stomach, but they lost the same the number of pounds. The secret weapon in the fight against fat on the stomach are proteins. The best way to lose weight and still is to reduce calorie intake, but only if it does not decrease too much and protein intake. How does that proteins help? Your body uses more calories to digest protein than other foods. Protein also helps to maintain muscle mass, although thin, and the muscle mass burns more calories than fat. Finally, proteins saturate much better than carbohydrates. If in your diet, add nuts, fat belly will melt much faster. But still do not overdo it with snacking. 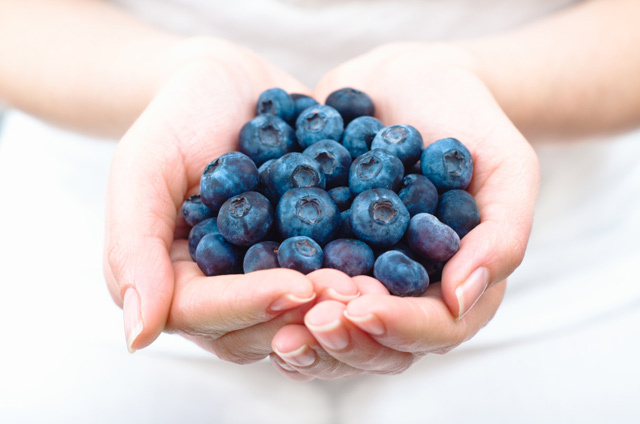 Anthocyanins, phytonutrients that are found in blueberries may affect genes that regulate metabolism. For easier removal of fat from the abdomen, recommended one cup of blueberries a day. Previous: What you should know about green tea and weight loss?